We are offering Centrifugal Duct Fan. We are among the well renowned names in the manufacturing of square ducts. The square ducts manufactured by us are highly durable and very much in demand. Direct Drive Fan manufactured by us is provided with a hub, which is directly connected to the generator. This specific arrangement eliminates the gear box. Due to lower friction, the wind turbine is more efficient at low wind speeds, making it ideally suitable for low wind power density areas. 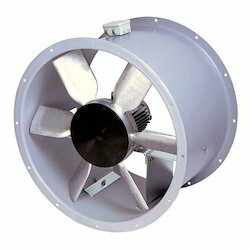 We are engaged in offering a wide assortment of InlineDuctFan/AirFan. 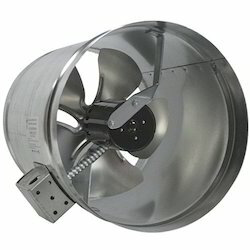 These fans are highly acclaimed for their wide applications such as Spot Ventilation, Booster Fan, Smoking Area Exhaust, Room/Restaurant/Bar/Kitchen/Bathroom Exhaust & ventilation. Size: 300 mm to 1600 mm.